There is a lot of information out there emphasizing the importance of having a budget, but what good is a budget if not done correctly? Don’t just blindly write down how much to save each month without doing a little work first. Whether you are a college student preparing to graduate or you need a refresher, this article will teach you how to accurately budget your money. If you’ve never properly created a budget before, you’ll want to keep reading. Even if your financial situation seems steady and strong, you should still develop a budget. Budgeting is not just for those who need to get their finances in order; it’s for anyone to help them be prepared for any unwarranted circumstance and to avoid wasteful spending. Who feels good when they waste money? I know I don’t. To determine what your budget should be, you need to know what you’re working with. The following steps will help you create one that is realistic for you so that you can also stick with it. First, keep this in mind: Don’t pull a 180. While it is important to stick with your budget once created, it is also unrealistic to limit yourself from everything. You should not also expect to be extremely frugal, otherwise, you might be more likely to break your budget from frustration. Don’t set yourself up for failure. You can stay committed by making simple lifestyle changes instead of giving up everything. Step 2: Gather your bills. Gather your bills and expenses that you pay regularly on a monthly basis and record these under the “Expenses” tab. Make sure to include everything including spending money or any type of allowance you’ve given yourself. In order to ensure you didn’t miss anything, check credit card bills and bank statements. Bills that you pay quarterly or annually can just be averaged out per month. Step 4: Record your income. Once you have the monthly spending determined, you need to record your monthly income. You’ll need to incorporate all forms of revenue, not just your paycheck. This includes money accumulated from interest, payments from roommates or tenants (if applicable), passive income, and so on. Once you are sure you have included everything, total the numbers. Step 5: Subtract. Following the completion of your “Income” column, you’ll subtract your expenses from your money in. If the result is a positive number, you’re doing OK. With money left each month, you can use this toward paying off debt, adding to a savings account, or to invest. However, if the number is negative, you’ll have to make some changes to your spending before moving forward. If you can’t increase how much money you are bringing in, you’ll need to reduce how much money goes out of your pocket. Some companies may be able to put you on a financial hardship program or offer some other alternatives such as debt consolidation. 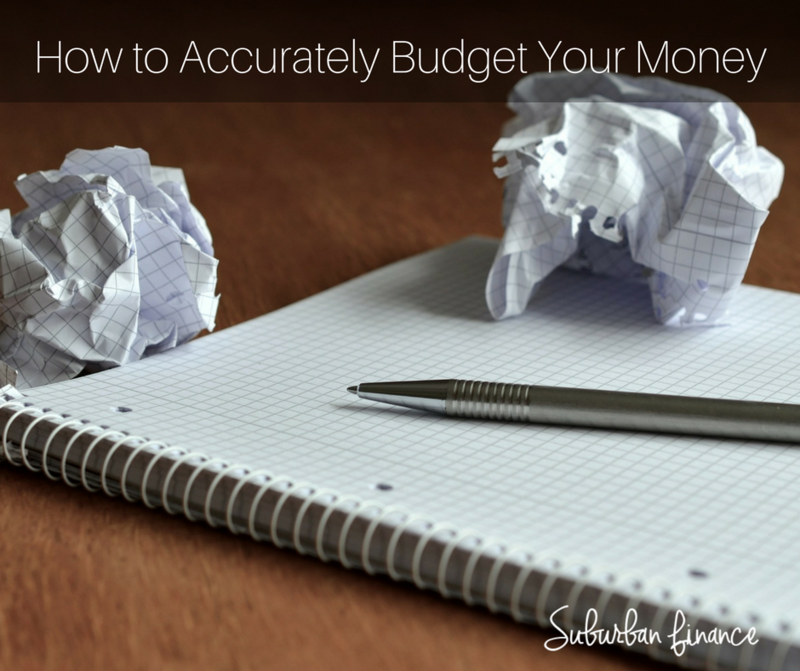 Hopefully, you’ll find these steps of how to accurately budget your money helpful. Even if you feel hopeless right now, you will be in a much better place in a few months from now if you follow the above steps.